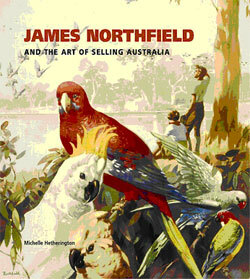 James Northfield (1887 - 1973) was one of the most celebrated commercial artists of the 20th century in Australia. 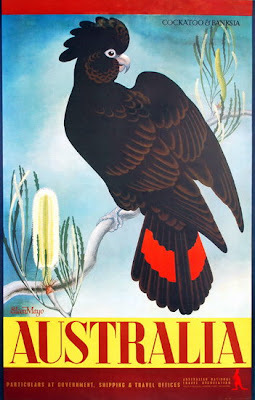 He was recognised for his sound draughtsmanship, his excellent composition and the remarkable atmosphere of light and colour with which he captured the quality of the Australian landscape. His work appeared in billboard advertisements, promotional travel posters and posters relating to World Wars I and II. 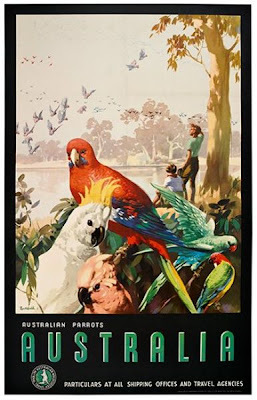 Dame Eileen Rosemary Mayo, RA, DBE (1906-1994) was an English-born artist and designer who worked in England, Australia and New Zealand in almost every available medium - drawings, woodcuts, lithographs on stone and tempera, tapestry and silk screening. In addition to being a printmaker, illustrator, calligrapher and muralist, she designed coins, stamps, tapestry and posters, and wrote and illustrated eight books on natural science. Australian National Travel Association, 1955 ca.